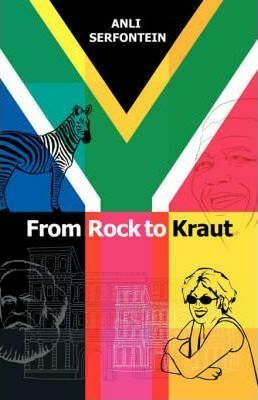 A Rock is a derogatory term for people of Afrikaans descent, while a Kraut is an offensive name for a German. Here, however, the terms are used lovingly and self-deprecatingly, as South African born author Anli Serfontein humorously narrates the story of her journey from urban Johannesburg to small-town Trier in Germany. She takes the reader on a journey through everyday life, as she struggles to deal with convoluted red-tape, arrogant teachers, extreme tidiness and the inability of 80 million people to queue. She battles to keep up with the locals and their town, wine and harvest festivals. Her tale is spiced with accounts of her travels as a television researcher, meeting Dutch politician Pim Fortuyn in Rotterdam days before his murder or speaking with the last surviving officer to be with Hitler in the Berlin bunker during the last days of the war.